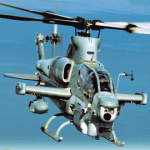 The State Department has approved Bahrain’s request to buy 12 Bell Helicopter-built AH-1Z attack helicopters and related equipment and services through a potential $911.4 foreign military sales agreement. Bell Helicopter and General Electric (NYSE: GE) will act as prime contractors in the proposed FMS deal in support of Bahrain’s efforts to deter regional threats, build up its homeland defense and facilitate interoperability with U.S. forces, the Defense Security Cooperation Agency said Friday. The proposed transaction covers T-700 GE 401C engines; AGM-114 Hellfire missiles; Advance Precision Kill Weapon System II WGU-59B; Honeywell-built (NYSE: HON) embedded GPS inertial navigation system; joint mission planning systems; M197 20mm gun systems; AN/AAQ-30 target sight systems; APX-117 identification friend or foe platforms; and AN/ALE-47 countermeasure dispenser sets. The Middle Eastern country also requested to purchase spare and repair parts; test equipment; program assistance; training; technical support; engineering; and logistics services. The proposed deal will require the deployment of government and contractor personnel to Bahrain for a 60-month period to provide maintenance and training support and help carry out technical and program reviews. Three contractor representatives will also be required to stay in the country for a couple of years in support of the proposed FMS agreement.